For nearly three days, 61-year-old Tristan Voorspuy watched from his conservancy as the tourist houses on the ridge burned. On Sunday around 11 a.m., Voorspuy rode off, unarmed, nearly four miles into the bush to confront the herders who had set them ablaze. Several agonizing hours passed before air surveillance spotted what appeared to be his horse lying on her side near one of the burnt houses. It wasn’t until nearly dusk that a brave Kenyan conservancy employee made it to the scene and returned with the news: Voorspuy was dead. His body lay in a pool of blood, with bullet wounds to his head and chest, between a badly burned lodge and an empty swimming pool. 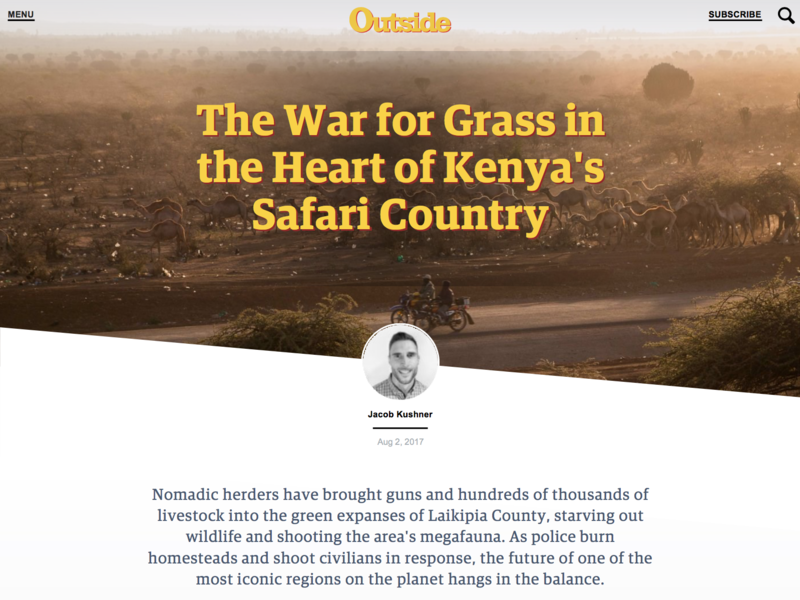 Read the feature story at Outside Magazine.